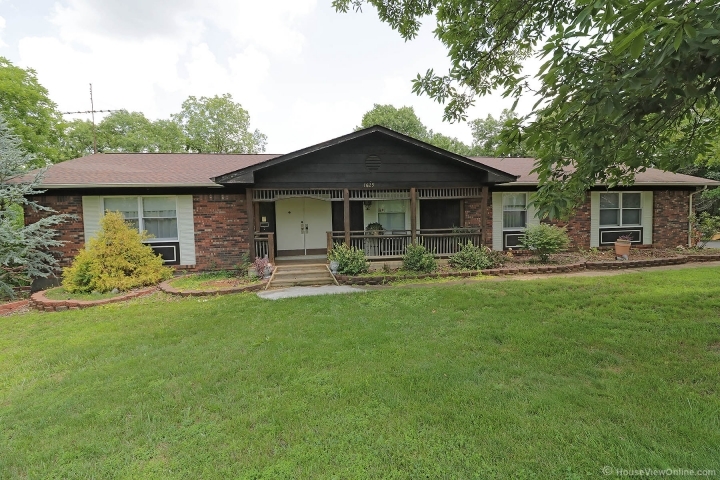 Ranch style home with 3 bedrooms, 2 baths, living and family rooms, office, walkout basement, and lots of closets and storage space! Covered front porch. Big deck and patio in back overlooking the woods. Living room and family room have a wall of windows to enjoy the private wooded setting. Close to the country club, pool and golf course. Terre du Lac has 16 lakes and is only 1 hour south of St Louis.